The latest effort from these Grammy/Dove award winning veterans is focused on community. So for this album, they invited friends to join them in both writing and performing folk, acoustic and rock songs. The results are intimate, profound and original. 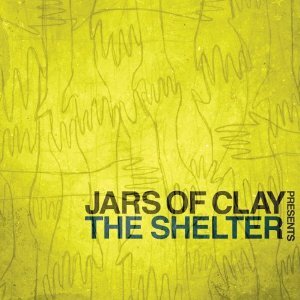 The Shelter features appearances from 15 fellow artists, including: Brandon Heath, Third Day’s Mac Powell, Amy Grant, Sara Groves, and Mike Donehey of Tenth Avenue North. There have been many great live albums and greatest hit projects from delirious? over their 17 years as a band. But this Blu-ray release, recorded live in London, is probably their best. It is an emotional journey through the band’s catalogue of music, captured at their final concert. Featuring 30 songs on two CDs, this compilation marks the 16th two-disc release in the platinum-selling series that compiles the best songs from today’s top Christian artists. This high energy and spirited southern gospel quartet go back to their roots to cover songs from the Cathedrals – the group that first inspired them to sing. It’s fitting that this group, which has helped to break down the traditional walls of their genre, would choose to honour the music of this legendary quartet.